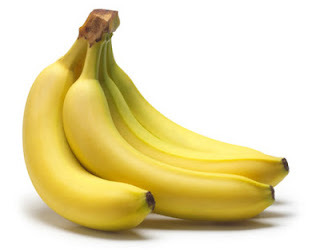 Energy - Bananas supply proper carbohydrates necessary to replace the muscle gyycogen (muscle sugar) used. Bowel Health - Bananas are high in soluble fiber which helps stop constipation and helps to restore and maintain regular bowel function. 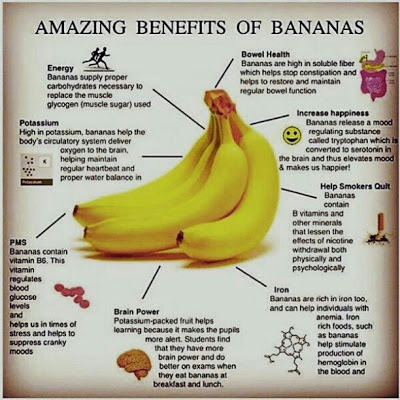 Increase happiness - Bananas release a mood regulating substance called tryptophan which is converted to serotonin in the brain and thus elevates mood & makes us happier! Help Smokers Quit - Bananas contain B vitamins and other minerals that lessen the effects of nicotine withdrawal both physically and psychologically. Iron - Bananas are rich in iron too, and can help individuals with anemia. Iron rich foods, such as bananas help stimulate production of hemoglobin in the blood. Brain Power - Potassium-packed fruit helps learning because it makes the pupils more alert. 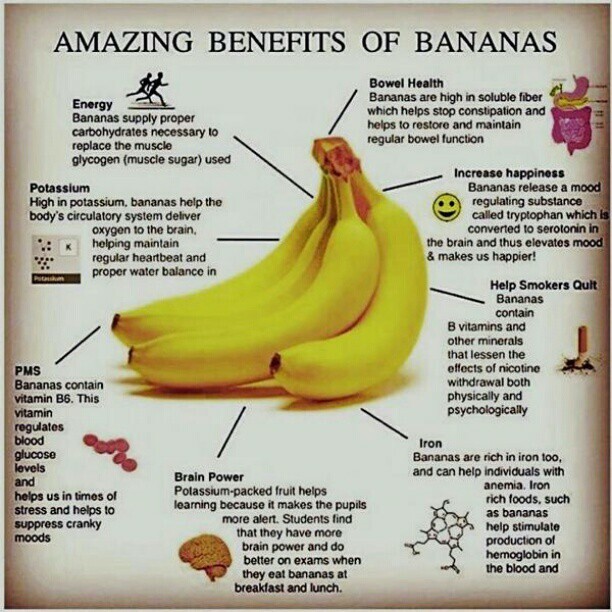 Students find that they have more brain power and do better on exams when they eat bananas at breakfast & lunch. PMS - Bananas contain vitamin B6. This vitamin regulates blood glucose levels & helps us in times of stress & helps to surpress cranky moods. Potassium - High in potassium, bananas help the body's circulatory system deliver oxygen to the brain, helping maintain regular heartbeat and proper water balance in body. hari-hari nak makan pisang lahh..thanks for sharing the info..